Oscar Tschirky created the Waldorf Salad sometime between 1893 and 1896 at the Waldorf Hotel, the precursor of the now Waldorf-Astoria Hotel, in Midtown East. This vegan version from NYC Vegan by Michael Suchman and Ethan Ciment makes a perfect appetizer, side dish, or light meal. 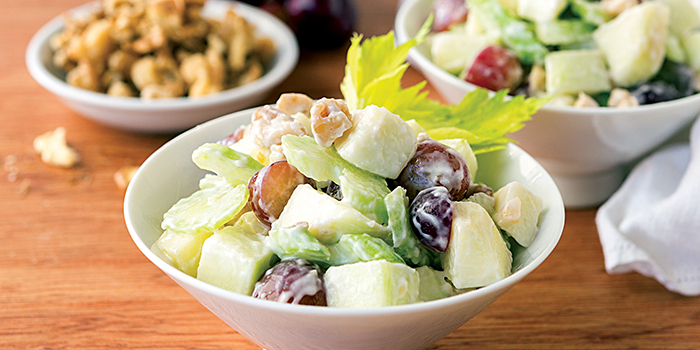 Oscar Tschirky created the Waldorf Salad sometime between 1893 and 1896 at the Waldorf Hotel, the precursor of the now Waldorf-Astoria Hotel, in Midtown East. In a medium bowl, whisk together the mayonnaise, sugar, lemon juice, and salt. 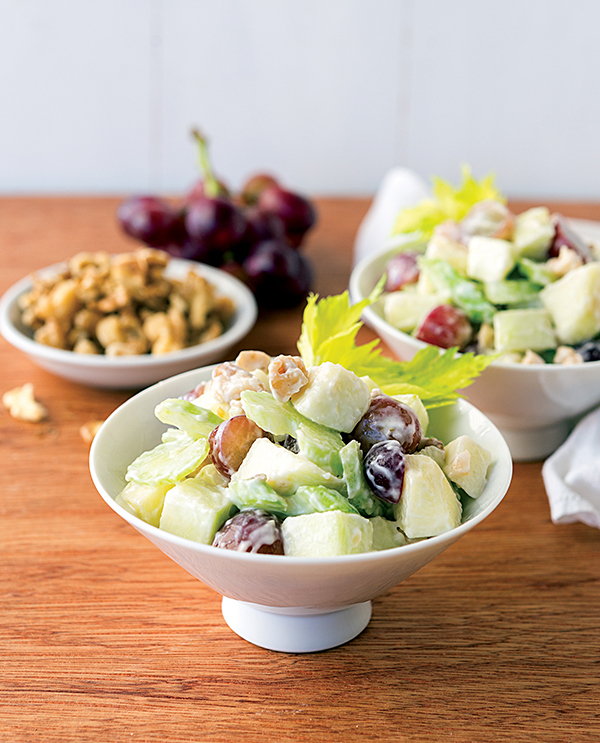 Stir in the apples, celery, walnuts, and grapes. Chill until ready to serve. 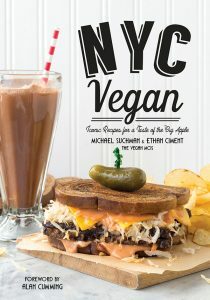 Michael Suchman and Ethan Ciment, authors of NYC Vegan, are the award-winning bloggers at VeganMos.com. Through their recipes, they show that eliminating animal products does not mean giving up your favorite familiar foods. Michael is a certified Vegan Life Coach and educator through Main Street Vegan Academy. He is also a certified Food for Life instructor through the Physician’s Committee for Responsible Medicine. Ethan is a podiatric surgeon in Manhattan who serves on the board of directors of Woodstock Farm Sanctuary.